A complete overhaul of the accounting industry would be carried out under Labour to prevent a repeat of the Carillion scandal, John McDonnell will announce. The big six firms would no longer be able to “act like a cartel” that blocks competition and drives down standards, the shadow chancellor will say. A regulatory maze allows obfuscation and buck-passing and fails to protect consumers, while accountants are acting with impunity and “lining their pockets”, he will claim. In a speech at Labour’s “state of the economy” conference in central London, Mr McDonnell will say the party is commissioning an independent review of the entire corporate auditing and accounting regime that will consider what penalties or fines should be imposed in future. “Our regulatory system is simply not fit for purpose,” he will say. “The financial sector alone has at least 29 overlapping regulators, including the Faculty Office of the Archbishop of Canterbury. “Some professions are self regulated. “This regulatory maze creates enormous opportunities for waste, duplication, obfuscation and buck-passing. “It does not protect consumers or promote confidence. “We need a complete overhaul of the entire regulatory framework for finance and business, to promote openness, transparency, accountability and – yes, where necessary – to impose appropriate punishments. Labour would stop the six largest firms, Deloitte and KPMG, EY, PwC, Grant Thornton and BDO from dominating the sector. Mr McDonnell will say: “Under the next Labour government the big six firms will not be allowed to continue to act like a cartel that prevents new market entrants or drive down standards. A damning parliamentary report called for the four largest accountancy firms to be broken up following failings exposed by the collapse of construction giant Carillion. KPMG, PwC, Deloitte and EY came in for severe criticism from MPs on the business and pensions committees, who conducted a joint inquiry into Carillion’s demise. Their final report said the audit profession was undergoing a “crisis of confidence”, and the auditors’ tangled web of involvement in Carillion’s woes illustrated the need for a “more competitive market”. It pointed to audits carried out by Deloitte and KPMG, as well as EY’s advisory role and PwC’s multi-faceted jobs that involved Carillion’s pension schemes and its latest incarnation as special manager of the liquidation. Professional services firms had pocketed a total of £71.6m in Carillion-related work since 2008, including on its pension schemes. Carillion’s liquidation in January left a £900m debt pile, a £590m pension deficit and hundreds of millions of pounds in unfinished public contracts. Labour’s review of the industry will be led by Prem Sikka, professor of accounting and finance at the University of Sheffield. “This week the parliamentary report on the collapse of Carillion has once again highlighted the catastrophic failure and inadequacy of our regulatory system,” Mr McDonnell will say. “The accounting and the pensions regulators have once more failed to do their jobs. 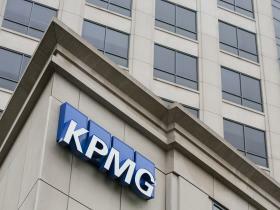 “Yet again accountants and auditors seem to operate with impunity whilst lining their pockets.